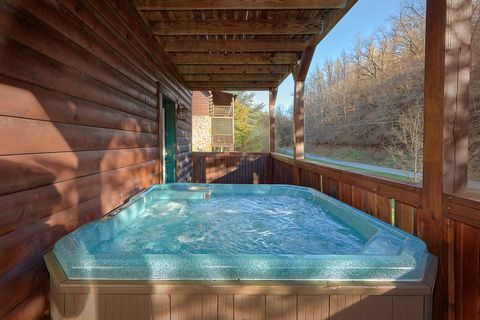 "Fishin Hole," one of our cabins in Pigeon Forge near Dollywood, boasts a hot tub, swimming pool access, and sleeping room for up to 12 guests. 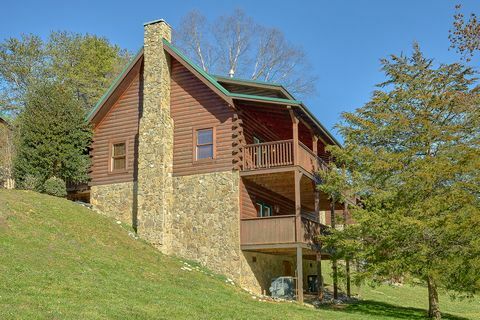 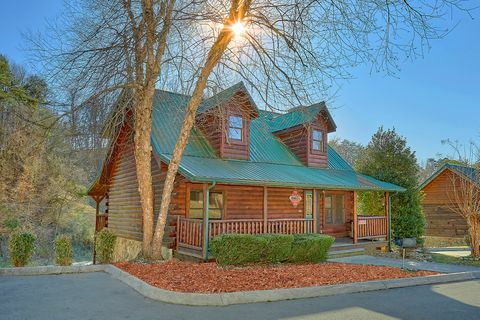 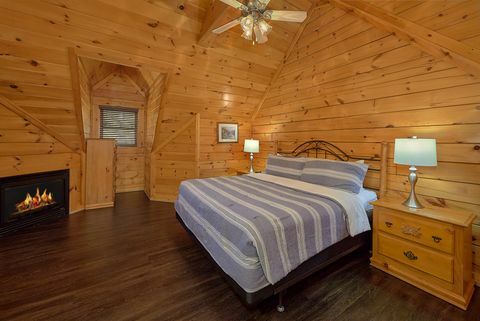 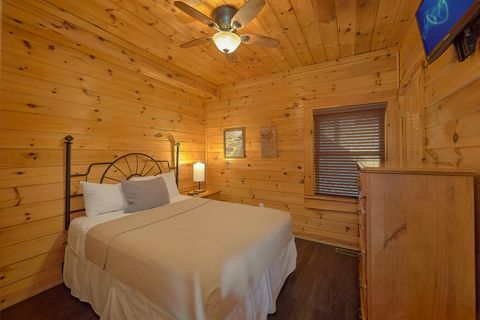 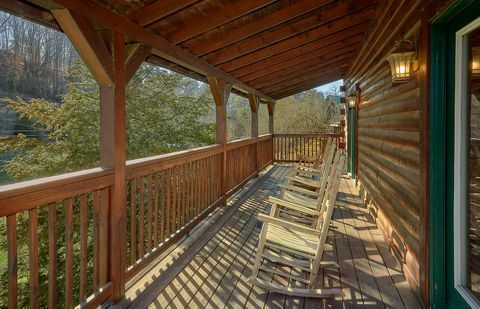 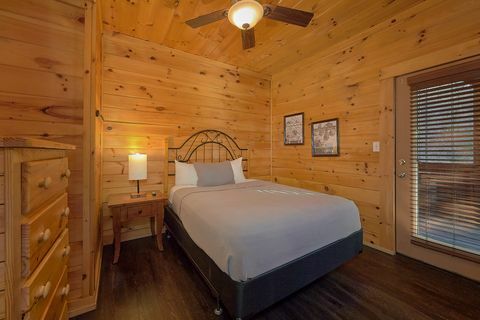 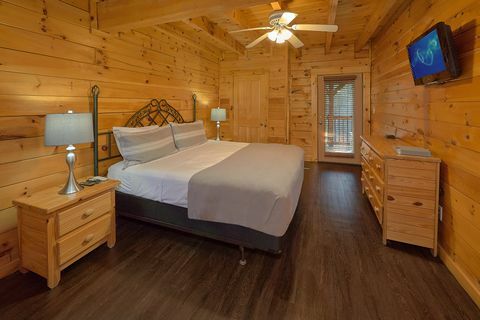 Located in the beautiful Cabins At The Crossing Resort, these cabins near Pigeon Forge provide quick access to countless attractions, shows, and restaurants. 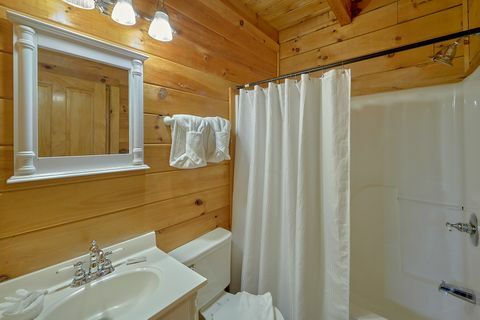 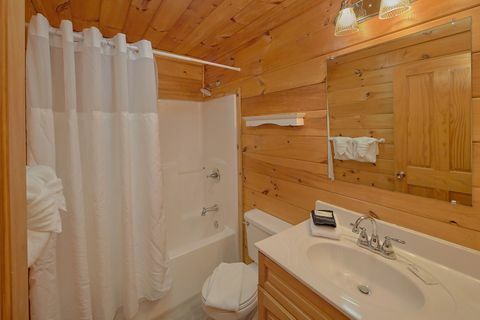 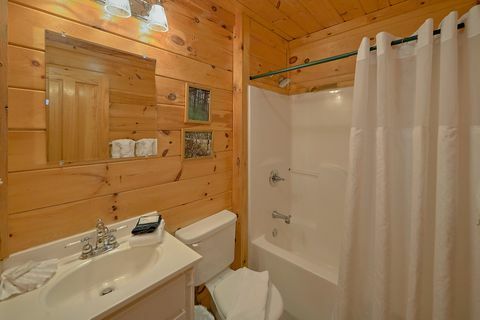 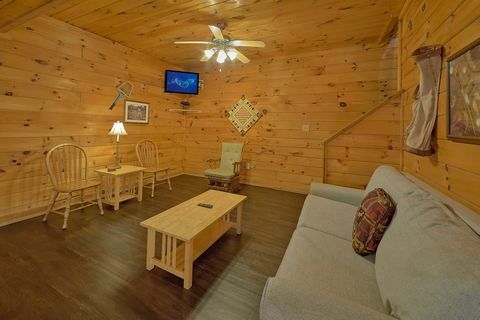 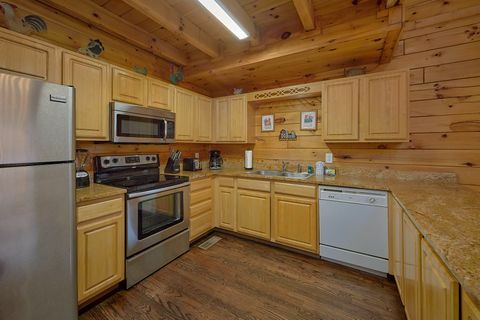 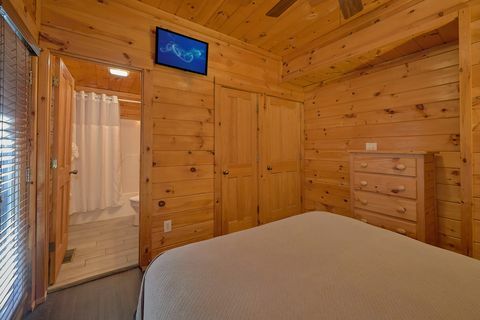 Our cabins in Pigeon Forge near Dollywood not only offer a convenient location, but they also come with comfortable in-cabin amenities as well. 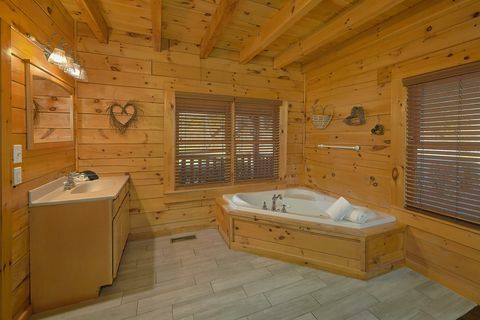 Your cabin's 2 master suites each have a king-size bed, in-room jacuzzi, and bath. 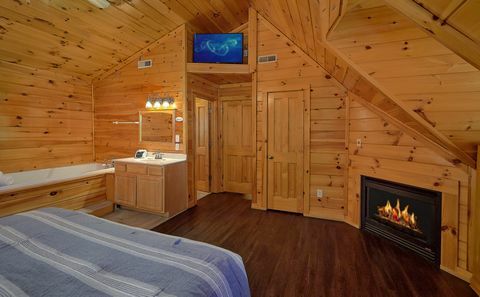 In addition, the upstairs master suite offers a corner fireplace to use during the winter months. 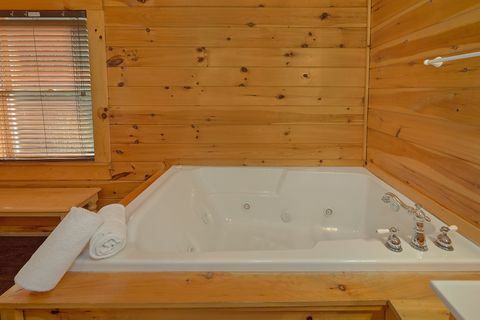 There are 2 queen bedrooms on the lower level of your cabin, each with their own bath. 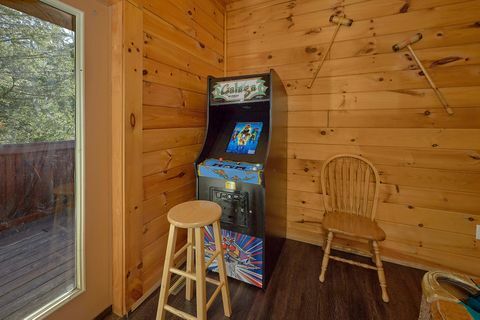 The downstairs game room offers a sofa sleeper, pool table, and Galaga video arcade game for late night fun. 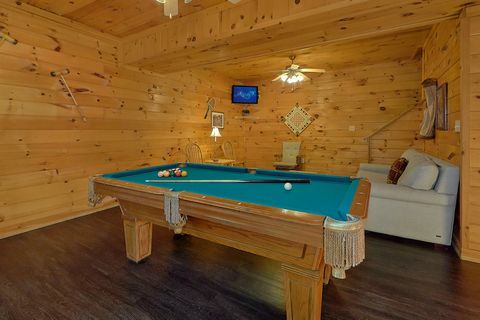 Unlike some Pigeon Forge cabins with pool access, "Fishin' Hole" rests within walking distance of the resort swimming pool, where guests can enjoy fun in the sun as well as free wireless Internet at the pool house. 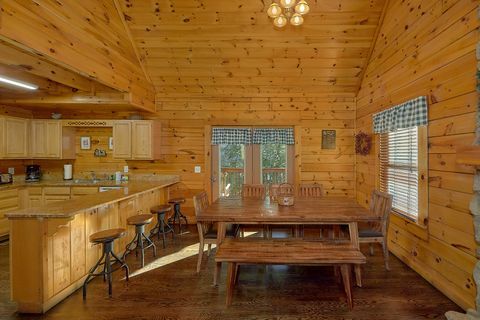 After a swim, head back to your cabin for a festive meal or cookout prepared in the fully-equipped kitchen or on the charcoal grill ready whenever you are. 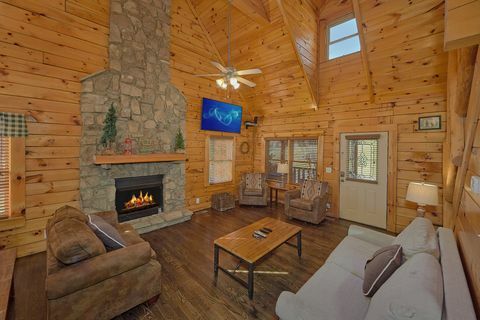 Our cabins in Pigeon Forge near Dollywood are made for relaxation and they offer locations. 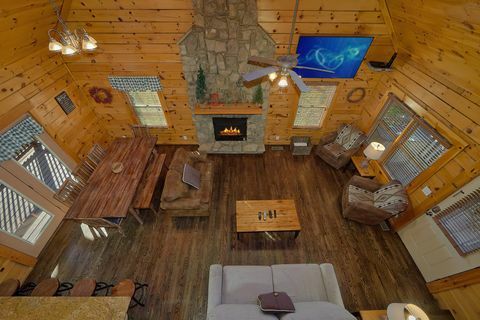 Book "Fishin' Hole" or another of our Pigeon Forge cabins with pool access today and receive an immediate Online Cabin Discount!